MacGyver is in the Arctic Circle looking for 100 million dollars worth of Russian gold that went down in a plane crash during World War II. He is joined by an American officer who was part of the original mission and two Russians, one of whom is a female who betrayed him on a past mission. 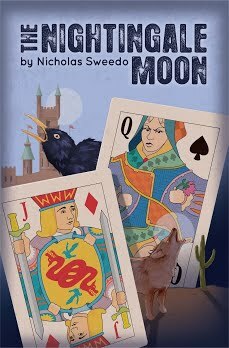 He discovers that the American officer conspired to steal the gold 45 years ago and will do whatever it takes to find it again. Great scene when MacGyver and Natalia find the dictaphone in the plane. MacGyver uses a pencil to spin the cylinder and takes Natalia's bear (Misha) pin to amplify the sound. Funny how MacGyver breaks the pin after Natalia tells him that it's her good luck charm. And then the part where they actually listen to the message and learn the truth about West is awesome, made even cooler by the uneven pitch of the recorded Russian voice from the 1940's. West is 60+ years old and is holding a gun on MacGyver from about a foot away while traversing through the ice caves. Yet somehow our hero is incapable of making a quick move and disarming him. I know, I know, then there wouldn't be a story. The episode opens with a plane flying as the subtitle says "Arctic Circle, 1944." Intriguing opening - I'm hooked right off the bat! It wouldn't be a MacGyver snow episode without a snowcat! MacGyver tells us that he had planned to go scuba diving in the Grand Keys (wherever that is) to look for a hidden treasure on a sunken Spanish galleon before getting this assignment. I don't think we see MacGyver scuba diving in any other episodes, but it's not surprising that this is in his skill set. Colonel West seems a little nutty and very anti-Soviet. Shouldn't they have known this before allowing him to go on the mission? We quickly learn that MacGyver and Natalia have a past dating back to a betrayal in Helsinki, and there's a Spy Who Loved Me feel to it. At this point one would never guess that by the end of the episode they'd be cuddling under a warm blanket while sipping hot chocolate and whispering sweet nothings. Interestingly, this episode stars Walter Gotell who played General Gogol, Bond's KGB ally in The Spy Who Loved Me and in many other Bond movies during the Roger Moore era. 10:02 mark - awesome little piece of minor key electronica as MacGyver is using his ultrasonic scanner. And then some more great music during the MacGyverism mentioned above. I have no idea what to do with my music list any more - it's becoming too unwieldy as there are way too many great musical moments in this series. I guess I'll just continue taking note of them and then one day I'll get to work on making my dream CD. If only there was a way to edit out the people talking in the background, but I'll jump off that bridge when I come to it. Both MacGyver and Gogol are wearing hats but are not covering their ears. I've never understood that look - why wear a hat if you're not going to cover your ears?! Of course getting the gold back is all about earthquake relief or else there would be less purpose behind everything that happens. As Natalia says, it's all about the children. Wow, General Gogol takes an ice pick to the heart! The series is pretty tasteful when it comes to graphic violence, and though this scene is probably one of the more graphic deaths we'll see, it's not bad at all compared to modern shows. There's one death in the series that I remember as being particularly graphic and which we'll get to in a later episode. I can understand why the 1944 Russians would want to seek revenge on West after he made their plane go down. But it's unclear to me why they would take the trouble to concoct an extremely elaborate, booby-trapped ice cave and then just sit there and die. (Their skeletons are in the cave, and in fact one is holding a gold bar that is booby trapped). If they were healthy enough to create the cave and haul the gold there, why couldn't they have just tried to survive and escape their present location, with or without the gold? The ending has a Last Crusade feel to it, with the hanging off the cliff and the diabolical villain whose greed gets the better of him. Though the internet says that this episode came out two months before the movie, so if anything, MacGyver influenced Indy on this one. 43:23 - I always thought it was cool how the camera shows a glimpse of the underside of the booby trap. Feels kind of like an inside look. Here's my conversation with episode writer David Engelbach. While it's nice to see MacGyver in other settings like a college campus or a jury, I must say it feels good to watch an episode with some old-fashioned adventure! There's not too much wrong with this one - good acting, compelling story, and cool locale with the ice caves. The plot is creative and it's interesting that the American is the bad guy while the Soviets are the good guys. There aren't too many scenes that stand out to me as highlights that I really enjoy which is why it's not ranked higher, but if this episode is all the way down at 89, then we're in good hands for the rest of the project. KTI made a good catch on the RDA message board - turns out MacGyver did don scuba gear in Pirates and also had oxygen bottles visible in the houseboat on occasion. Thanks KTI! Not one of my favourite episodes. I didn't like the protagonists being so elderly(unlikely to be a worth opponent for MacGyver here) and really didn,t like their fight and the ice-pick death. MacGyver certainly should have tackled the elderly and injured West in the cave - he's seen off much younger and fitter gun-toting villains than that. However. like you. I did enjoy the MaGyver/Natalia mysterious shared past (although we never quite get the full story). Particularily liked the MacGyver /Natalis exchange when he's disarming the spring trap. 'Don't come over all Russian on me just yet.... you know. all heroic and fatalistic' and that Natalia uses it back to him when they're canoodling with the cocoa but with the adjectives 'poetic and philosophical'. Pete does make a habit of interrupting MacGyver's occasional romantic moments! In spite of some good moments I can't really suspend credibility enough to cope with the elaborately booby-trapped ice-cave and the tailors-dummy frozen Russians! Haha, yeah I forgot to mention in the lowlight that West is wounded too! I also like the ending and Pete barging in on them. I wonder if that scene was cut from the USA network broadcasts because I didn't remember it at all. As has been the case with the other two treasure hunt adventure episodes you've reviewed (Eye of Osiris, Treasure of Manco), I like this one WAY more than you. The treasure hunt theme is a concept that brings out this series' best in my opinion as it allows MacGyver to compete with his ancient/historical counterparts who are his equals in terms of jerry-rigging ingenius trappings. In this case, it was the pilots of the sabotaged plane who used everything from the cargo door to the propeller to the plane's fuels to rig a cave full of genuinely brilliant traps meant for the guy who led to their crash....Colonel West. Most dazzling about this episode was the production and stunt logistics here. If something like this were done on TV today it would be all cheesy CGI and would look like a cartoon...but for MacGyver it was filmed on location and required the construction of elaborate set designs such as the ice cave. I'll stick my neck out and say it was the best produced hour of television in the 1980s. My ranking for the episode is #24. Like most adventure episodes, the exposition is a little slow and drawn out at times, but the story is well worth the investment. As for the ice pick tossed at Sergei's heart like a tomahawk, this was the kind of scene that only occurred in the fourth season, which I said before was easily the darkest and most violent season of MacGyver. I suspected you'd have this one pretty high! And I can understand why, it's a good episode. Good point on the production quality also - those ice caves are very impressive, and I wish for these days where there was little to no cartoonish CGI. 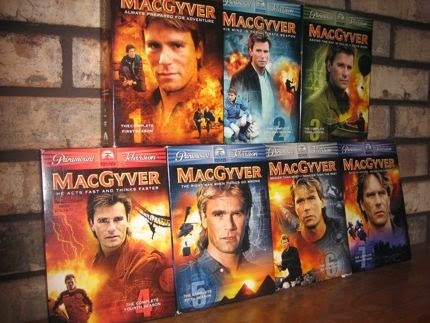 Former MacGyver writer Rick Drew wrote a lengthy e-mail exchange with a gal who used to run a MacGyver fan website in the 90s and he singled out this episode as a moment when the crew read the script and looked at each other saying "we gotta make this episode", but they were sweating bullets throughout given that there were so many things that could have gone wrong during the production of such an elaborate episode, and unlike with movies, they can't just wait out bad weather or re-rig a stunt that falls flat because of timing constraints with the production. It was well worth the effort though. Great observation! I hadn't noticed the Paramount reference before and I will pay attention to that next time I watch Raiders. I hadn't noticed the cave similarity to the other sets either until Mark pointed it out in one of these post comments. Aren't those coordinates in Alaska? "At this point one would never guess that by the end of the episode they'd be cuddling under a warm blanket while sipping hot chocolate and whispering sweet nothings." I think the plane crash footage is from the 1973 remake of "Lost Horizon." It happens at about 16:45 of the film (a video of the entire film is currently on YouTube). Great spot, thanks Ted! You're right, it's definitely the same footage (around the 20 minute mark of this video).